Mother’s Love | See what a mother gave her wombless daughter. A 43-year-old mother has successfully donated her womb to her 21-year-old daughter, who was born without a uterus, with the hopes that her child can experience childbirth. 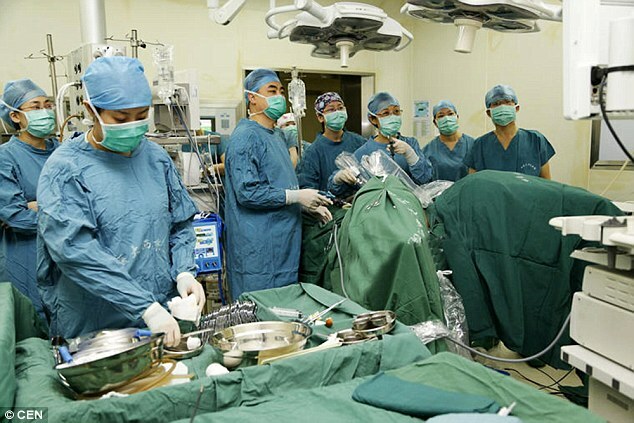 The surgery was the first of its kind in India and was performed by a team of doctors at Pune’s Galaxy Care Hospital in the city of Pune in south-west India. Ther womb transfer took place yesterday, led by the hospital’s medical director, Dr. Shailesh Puntambekar. It lasted for nine and a half hours in total and both mother and daughter are fine and in recovery. The 21-year-old will have to wait for one year to give her body enough time to heal and adjust to the new uterus before she considers trying to get pregnant via in-vitro fertilization (IVF). She is currently under observation and will be kept in Intensive Care Unit for some days. According to Dr. Mats Brännström, a professor of obstetrics and gynecology at Sweden’s University of Gothenburg, only six babies have ever been delivered from a uterus transplant – two from the same mother. It remains to be seen whether India’s first transplant will result in a birth though Dr. Puntambekar said he felt “relaxed and confident” that it will happen for his patient.